Over the past few years, we have tested LOTS of toys. While several were great, there are a handful that really stood the test of time and get my highest recommendation. 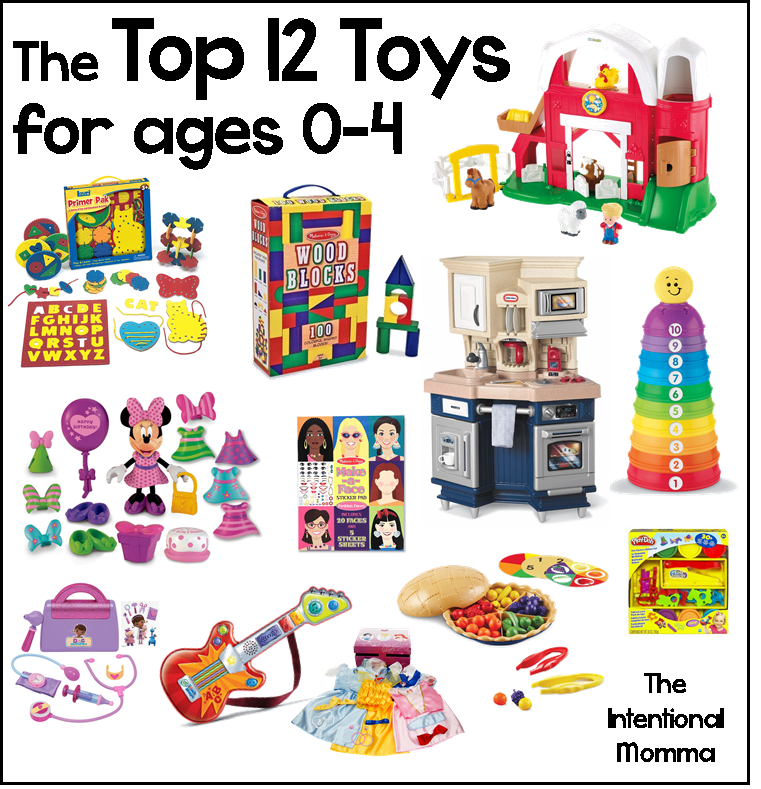 Since toys are a favorite during the holiday season, I’m going to share our favorites with you in hopes that they will become favorites in your home as well. These were a favorite in our home for nearly three years. They are colorful and versatile and wonderful for learning and motor development. This was our favorite toy from age 6 months to 24 months. Our little one loved this toy for the fun sounds and for the chunky animal figures, and it was a favorite from 18 months to age 2.5. She carried the animals around everywhere. While this was her favorite Little People toy, she also played with her Zoo and Happy Sounds Home until the age of three. From age 2.5 to age 4, our Minnie Mouse Birthday Bowtique and Fashion on the Go sets have been absolute favorites. They never seem to get old, and they are fun to play with multiple children. I know some moms may not like the potential mess involved with Play-Doh, but we LOVE it. My little one will sit and play so quietly and contentedly with Play-Doh which allows me to focus on other tasks for a while. She plays with her Play-Doh sets on her little table and we clean it up immediately afterward. This is a staple for girls and boys ages 3 and 4. This is a recent favorite which gets two thumbs up. It doesn’t get old! With 20 faces and tons of stickers, this is great for creative young ladies! While great at ages 3 and 4, I imagine it is also really fun for big girls too! This is definitely something that every boy and girl should have! A play kitchen provides hours of fun imaginative play, and is so, so great for 3 and 4 year olds! You don’t need to buy tons of extra accessories… just grab some plastic utensils from your own kitchen, and voila! I am a huge fan of any and all learning toys, and this one really hits the mark. My little one loves it, I love it, and it doesn’t get old! The Learning Resources Super Sorting Pie is useful for a variety of sorting activities and fine motor development, plus it’s great for imaginative play! Perfect for boys and girls ages 3 and 4. Most preschool girls love playing dress up. Last Christmas we received a princess dress-up kit, and it has provided hours and hours of imaginative play. We set up a full-length mirror and get out the dress-up trunk, and we are all set! Melissa and Doug offer a variety of dress-up options for both boys and girls, or you can try one of the princess variety for your girly girl! And there you have it! Armed with these items, books, DVDs, and art supplies, things are (usually) smooth sailing around here! We are getting our little one just ONE toy this year for Christmas. Want to know what it is? Stay tuned to find out soon! Read my comparison of the BEST dollhouses here!